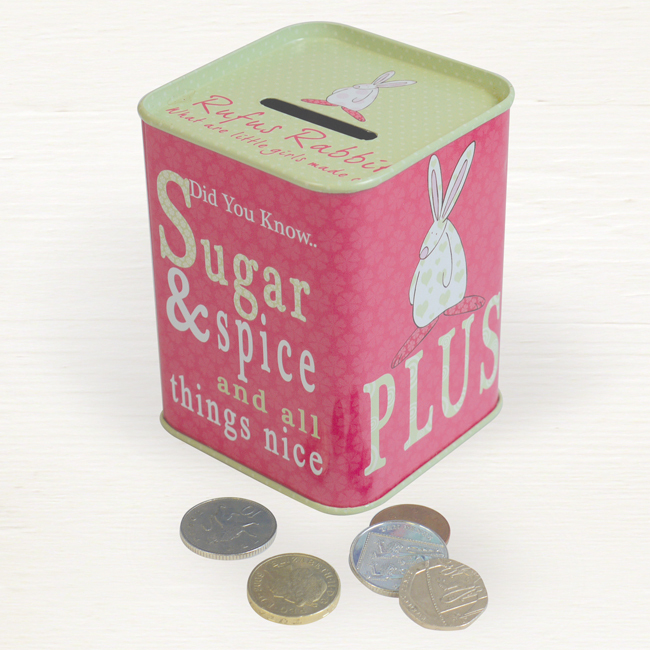 Did you know...Sugar and spice and all things nice. Plus tantrums and tiaras, door slamming and dramas. That's what little girls are made of! Rufus Rabbit has created some prints for children’s rooms inspired by nursery rhymes, parental and little one’s twitterings!. This Sugar & Spice children’s art print is from a limited print run of 100. This print will add a splash of affordable Rufus colour to your child’s bedroom, nursery or playroom. 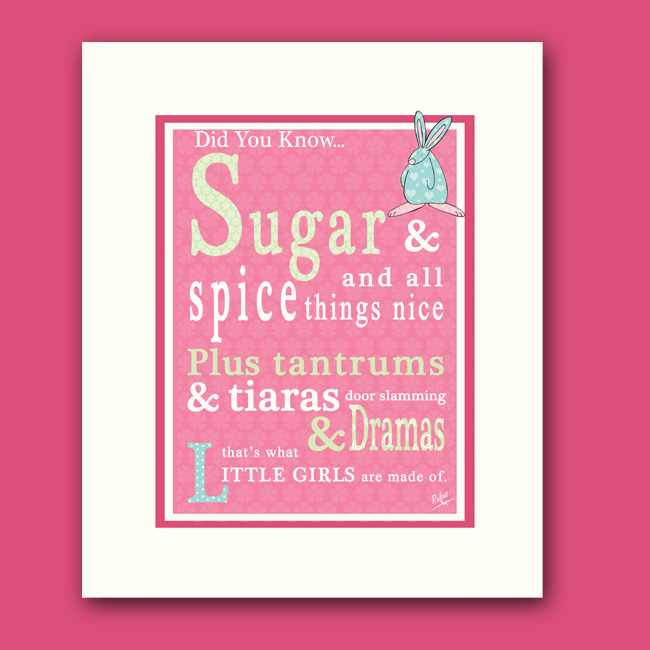 Did you know... Sugar and spice and all things nice PLUS tantrums & tiaras, door slamming and dramas, that's what little girls are made of.